FAYETTEVILLE, Ark. –Fresh off capturing the third NCAA Championship in program history, No. 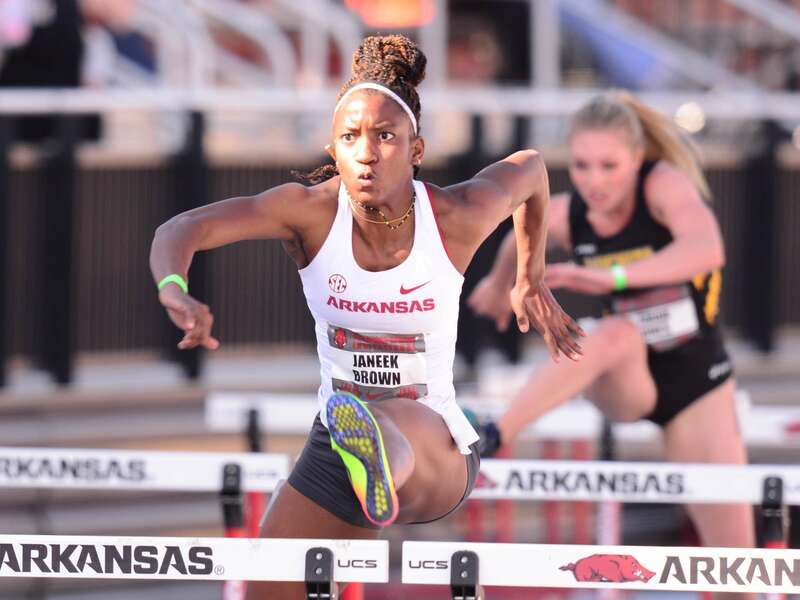 4 Arkansas women’s track & field team transitions to its outdoor season with this weekend’s Arkansas Spring Invitational at John McDonnell Field. The women’s hammer throw will be held Friday at approximately 6 p.m. with all other events scheduled for Saturday. Tickets for the Arkansas Spring Invitational are $5 for adults with free admission for fans 17 years and younger. Tickets are sold at the northwest entrance (corner of Razorback Rd and Meadow St) of John McDonnell Field. Saturday’s field events start at 11:00 a.m. with running events beginning at 3 p.m.
Arkansas enters the outdoor season ranked third in the Terry Crawford Program of the Year standings. The Razorbacks have finished in the top-three in five out of the last six seasons, including runner-up efforts in 2014-15 and 2015-16. In another post-indoor awards watch, senior Lexi Jacobus remained on The Bowerman Watch List following her fourth-career NCAA title in the pole vault. Jacobus has been on every watch list in 2019. This weekend’s 14-team field will include Iowa State, Oklahoma State, SMU, Tulsa alongside a few community college programs. The Arkansas Spring Invitational is the first of five outdoor home meets for the Razorbacks who are also set to host the John McDonnell Invitational (April 12-13), National Relay Championships (April 26-27), Arkansas Twilight (May 3), and the SEC Outdoor Championships (May 9-11).